Membership renewal is now available on our new system. Click here to register today! Looking for Troop Camp reservations? Visit Doubleknot to search for available units. 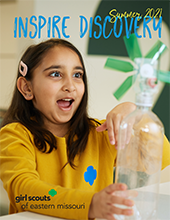 Log-in here for Inspire Discovery, Camp Adventure Guide, and Lead & Learn programs and camps. Links to each of these publications are below for full details of our fantastic girl program and adult education opportunities! Need Assistance? 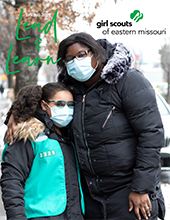 Contact the Answer Center at answercenter@girlscoutsem.org or 314.400.4600.